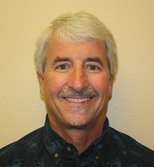 Dr. O’Keefe graduated with a degree in dentistry from the University of Washington in 1980. Since then he has expanded his interests in many specialties of dental science. In his practice, renamed Sawtooth Dental Care in 2004, he provides comprehensive care including; Invisalign orthodontics, surgical implant placement, many facets of oral surgery, periodontics, and cosmetic dentistry. The aim of John and the staff at Sawtooth Dental Care is to provide comprehensive, high quality dental care in a fun and comforting atmosphere. They are dedicated to learning, using new techniques and listening to what their patients have to say about what they want and need.